Though the Apple Watch How The Apple Watch Won Me Over How The Apple Watch Won Me Over When Apple announced their latest gadget, I wasn't entirely impressed. I ignored the hype, disregarded the reviews, and didn't pre-order one for myself. Obviously, I caved. 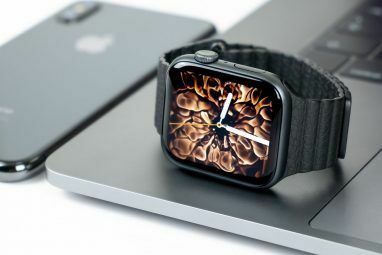 Read More went on sale just a little over two months ago, Apple is set to release the next major update to the watchOS software that powers the device in the Fall. I have had my Apple Watch for a few weeks now, and I’ve learned to use it for its most distinctive purposes, like providing access to data beyond the iPhone. I’ve never expected the watch to replace my phone, but I do want it to put data and other features literally at arm’s reach. This is why Apple’s watchOS 2.0 will be an incredible update for watch users. During the work week, I mainly use the modular watch face, but over time I have created several other costume faces for various purposes outside of my office. With the watchOS 2.0 update, users will be able to create more personalized watch faces based on either one of Apple’s Time-Lapse world photos, or a personal photo or set of images from their Photo library. The photo face is based on a simple watch face that includes the time and date. You will probably want to carefully select photos that don’t make the face look too cluttered or that might obscure the data display. Complications (small icons and data that can link to corresponding apps) are essential to the watch because they provide a quick glance of important data and features, which is one of the main purposes of the watch. In the watchOS 2.0 update, app developers will be able to add custom complications tied to their apps. For example, the to-do management app, OmniFocus Put iPhone Reminders To Better Use With The Right Apps & Tips Put iPhone Reminders To Better Use With The Right Apps & Tips Adding reminders and calendar events to your iPhone should be a painless process – and it can be if you use the right time-saving apps and tricks. Read More , could provide a complication of your current tasks. You might choose to display United flight times as you travel, or keep abreast of current game scores. It’s possible that future updates could allow complications to change based on the user’s current location, but that’s just wishful thinking for now. Another new watch face related feature will be Time Travel. 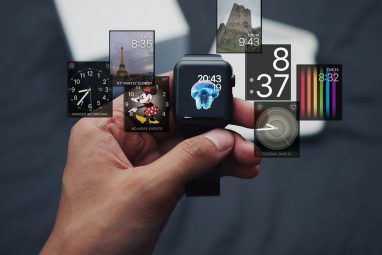 Users will be able to turn the Digital Crown on the watch to browse upcoming and past appointments, and even get future weather forecasts for the week. This is the type of data you can could get on the iPhone, but it’s easier and quicker to access on the watch. In the area of keeping up contacts, watchOS 2.0 will feature the ability to create groups of contacts in the watch. In the current version, only 12 people can be added to the Friends contact circle. Users will also be able to send email replies from their watch, and use multiple color drawings in Messages to other Apple Watch users. I personally still find it easier to send emails and messages directly from my iPhone, but it could be convenient to reply to messages on the Watch when your phone is in your pocket. Like other Apple Watch users, nothing turns me off more about the device than waiting for an app to open. I’ve removed more than few apps from my watch simply because they took too long to open. 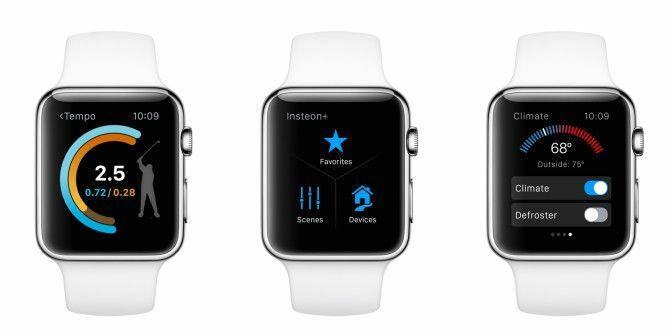 In the next version of watchOS, app developers can finally create native apps for the watch. Some apps will even be able to run independent of the phone itself so they load more quickly. We should see developers building optimized apps that take advantage of the Digital Crown, the heart rate sensors, and the Taptic Engine, in similar ways native Apple Watch apps perform. The best native apps though will be those that provide data and other user experiences at a glance. The Apple Watch is not intended for long term interactions. No one should want to raise their arm and browse Apple Watch apps in the way they browse apps on their phone or iPad. That’s why I don’t use my watch much to check emails or browse Twitter streams. Viewing activity data, reading text messages, controlling music in my car — these are the types of users experiences I want more of on my watch. I’m not a big shopper, but I really like paying for groceries using Apple Pay How To Use Apple Pay To Buy Things With Your iPhone How To Use Apple Pay To Buy Things With Your iPhone Your iPhone may some day be the only device you need to purchase products and services, but first you need to start using Apple Pay. Read More on my watch. The Apple Pay icon is clearly visible on the card machine where I shop, and it’s a simple process of double-clicking the watch’s home button, and then pointing my watch toward the card reader. In the less than five seconds, the transaction begins, and I just have to punch in my passcode. With watchOS 2, Apple Pay will include store credit cards, like Kohl’s Charge, Walgreens Balance Rewards, and Dunkin’ DD Perks, which will allow users to receive and redeem rewards using Apple Pay. While it’s a not a huge time saver to use Apple Pay on the watch, it’s definitely more convenient than pulling the phone out of your pocket or purse. Siri is nearly essential on the Apple Watch. Because there’s no keyboard, and because the watch is much smaller than the phone, voice commands are the fastest way to navigate, send messages and request information. I personally get better text dictation from Siri on the watch than my iPhone. When I want to check my calendar, I don’t manually search for an app on my watch, I raise my arm and say, “Hey, Siri,” (I often have to say it twice! ), “Calendar.” That command serves up a list of my upcoming appointments and events. With watchOS 2, Apple says Siri will allow for more commands like checking your Glances, getting transit information, and calculating a tip. It will also allow for starting a specific workout session, which currently requires a few taps to set up. It would be nice however if there were a command to take users back to their watch face, instead of having to press several times on the Digital Crown. I issue voice commands on my Mac Control Your Mac With Voice Commands & Better Dictation In OS X Yosemite Control Your Mac With Voice Commands & Better Dictation In OS X Yosemite You once needed expensive software and a lesson in patience to control your Mac with your voice, but now you can do it with little more than Apple's latest free upgrade to OS X. Read More throughout the day using Dragon Dictate, and it’s equally better when I can use similar commands on my watch and iOS devices. If you’re not using Siri, try practicing voice commands Do More With Siri Using The New iOS 7 Siri Commands Do More With Siri Using The New iOS 7 Siri Commands If you find yourself fumbling with your iPhone to make a simple phone call, launch an app, set a reminder or wake-up alarm then you're probably not using Siri enough. Read More and performing other iPhone functions How to Perform Common iPhone Functions on Your Apple Watch How to Perform Common iPhone Functions on Your Apple Watch Some see the Apple Watch as little more than an expensive Bluetooth remote. That may be so, but you can use it to access a huge number of iPhone features without reaching into your pocket. Read More to get more out of your device. On the watch, you can ask Siri, “What can you do,” and it will display a selection (including alarms, reminders, maps, movies, and app launch) of commands you can issue. Lastly, watchOS 2.0 will address potential security vulnerabilities with the watch thanks to Activation Lock. Activating a Watch will require an Apple ID and password, and you’ll need to input that same password when you want to erase your Watch or pair it with another iPhone in future. With these and other future updates, Apple seems committed to making the watch a powerfully useful wearable device that will reduce the use of — but not completely replace — an iPhone. 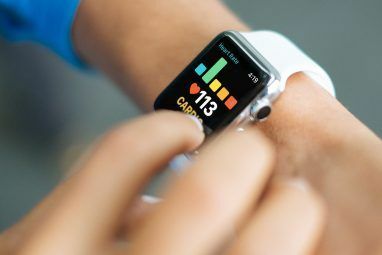 The Apple Watch has its own distinctive purposes, and the more we use it, the more we will learn how to use its features and activities to suit our personal needs. Did you buy an Apple Watch? What do you think of watchOS 2.0? Let us know in the comments! Explore more about: Apple Watch, WatchOS, Wearable Technology. The Pebble also has decent battery life (5-7 days). How long can you use the Apple watch before charging? My battery can go about a day and a half. Charging the watch takes like an hour, so that's not the biggest issue for me. I prefer the watch over the phone for most of my notifications. Yeah man. I actually have both watches and prefer the apple watch a little more. That being said, pebble was certainly first to the plate with the "time" line function of checking your day in a linear fashion. But sometimes if you see a good idea, copy it! I’ve never used the Pebble, but on the surface, it just doesn't look attractive to me.